This ophthalmologist malpractice lawsuit was filed in P.G. County after a woman's retina is perforated during cataract surgery. It was filed in Health Claims Arbitration on April 10, 2017, and it is the 166th medical malpractice case filed in Maryland in 2017. A woman goes to an ophthalmologist in Riverdale. Her lawsuit does not tell us her medical history. But she has a cataract extraction an intraocular lens implantation surgery on his left eye done at Doctors Community Hospital. This is a plastic artificial lens that is surgically implanted in the eye.During the procedure, defendant negligently perforates the posterior capsule of her left eye. The defendant also fails to realize this has occurred, leaving lens fragments in the woman's eye. During follow-up appointments, defendant continues to fail to recognize the presence of the fragments in the plaintiff's eye and fails to refer her to a retina surgeon. The woman files this claim, alleging negligence leading to a loss of vision in her left eye. Intraocular lenses (IOL) are prosthetic lenses implanted into the eye of patients who have had the natural lenses of their eye removed because of cataracts. The removal of the cataractous lens leads to diminished or lost eyesight. So these intraocular lens to replace the natural cloudy lens was an amazing advance that, for many, was the difference between sight and blindness. Plaintiff's malpractice attorney did not name and expert with the Complaint. We do not know if the core of plaintiff's case is the perforation of the posterior capsule of her eye or the failure to recognize the injury that was caused lens by fragments floating into the eye. The defendant is going to argue that the perforation is a known risk of the procedure. 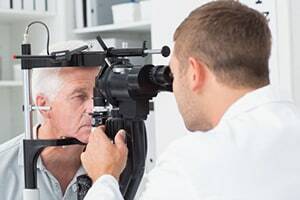 One study shows that 12.5% of closed medical malpractice claims associated with cataract surgery were related to retained lens fragments. Of these cases, 11% went to trial, 28% settled, and 61% were dismissed. The average insurance company payment - mostly settlements -- in these cases were $112,000. The median payment was $90,000. We do not know the condition the plaintiff was in at the time of the surgery. But most likely she was not in bad shape. If there is no preexisting damage to the eye, they usually use a posterior chamber lens which is what they probably used in this case. An anterior chamber lens would be used when the membrane that would hold the posterior chamber lens has been ruptured or torn or dislocated. Prince George's County is a favorable jurisdiction for plaintiff in this case. If you have been injured during a surgery due to the negligence of a doctor, our firm can help you. Call us today at 800-553-8082 to speak to an attorney who can help you or get an online case review.